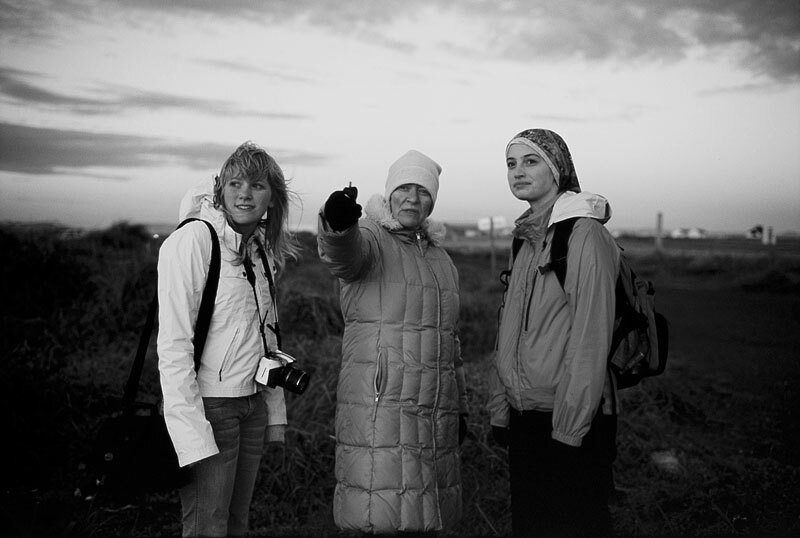 Arna, Gudrun and Emily at midnight on the Solstice. Leica M7, 35mm f/1.4 ASPH. E100G converted to B&W.